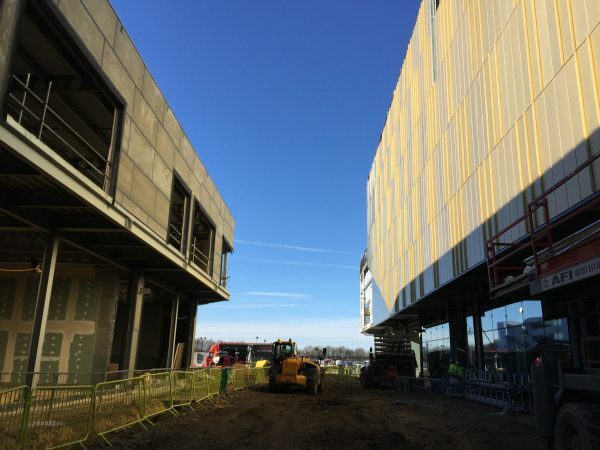 Installation of the feature cladding at Thorpe Park, Leeds has started on site. The scheme boasts a number of specialist materials including Gold anodised aluminium, mirrored stainless steel and a mix of granite and limestone rainscreen systems. 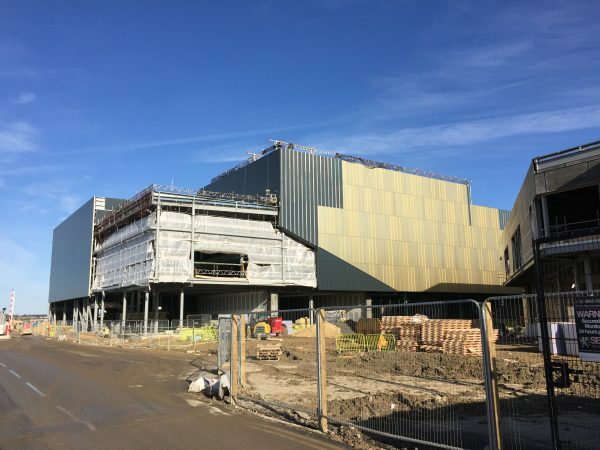 Due for completion summer 2018 and opening to the public Autumn 2018, the development includes a ten-screen Odeon cinema designed by The Harris Partnership for Scarborough International Properties and Legal & General Capital, anchoring the leisure core alongside the 300,000 sq ft shopping and leisure park, as well as extensive parkland and sports facilities. Boots has also agreed to take a 15,000 sq ft store next to M&S Simply Food joining Next, TK Maxx and the Outfit.